Choosing the paper products for your wedding shouldn't be a headache! Whether you are looking for something simply sweet or ultra-luxe, we have hundreds of wedding products to choose from! We can design anything to reflect your unique style. We are also a premier Carlson Craft direct retailer, where the choices of wedding products are endless. 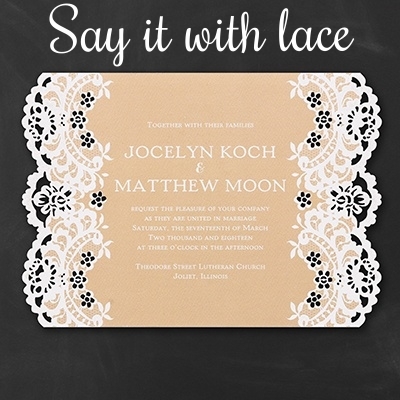 Save the Dates, Bridal Shower invitations, Ceremony Programs, Thank You Cards, and so much more! Call us today and let us help you stay organized. Click here to view Carlson Craft wedding products!